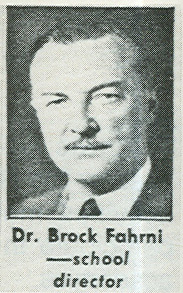 The Department of Occupational Science and Occupational Therapy, formerly known as the School of Rehabilitation Medicine, first opened its doors at UBC in 1961 under the directorship of Dr. Brock Fahrni (1913-1982). The need for a school to train occupational and physical therapists at UBC was great at the time as the majority of OTs practicing in Canada were foreign trained. In 1955, for example, there were 150 physical therapists practicing in BC, of which only 32 were trained in Canada. In the School’s beginning, students were required to complete one year of university (or equivalent) to be allowed entry into the 3-year certificate program. Two of these years were academic in nature, while one year was a supervised rotating internship. Students who graduated at this time were granted a Certificate Course in Physical Medicine Therapy (which combined both physio and occupational therapy). 1962 saw the School begin to evolve into a full degree, 4-year program (3 year diploma with an optional “degree year”) that was solidified in 1969. By 1970, graduates of the School were granted a Bachelor of Science in Rehabilitation Medicine (B.S.R). Since its beginnings, the School has undergone many significant changes with some noteworthy moments in history. In 1976, the School was one of three used as a pilot study to develop C.P.A accreditation criteria. 1977 saw the School acquire 4,000 square feet of space in the Extended Care Unit (located in what is now the Instructional Resources Centre). Margaret Hood, who was the first instructor of occupational therapy at UBC, became director of the School in 1978. In June of 1979, the School moved to its present location, the 3rd floor of the UBC Hospital. By 1992, the School had changed its name to the School of Rehabilitation ‘Sciences’. 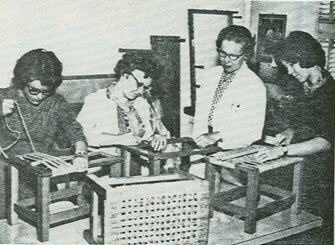 The emergence of a distinct curriculum of occupational therapy began in 1983 with the division of OT and PT programs. Students who graduated at this time were granted either a Bachelors of Science in Occupational Therapy or Physical Therapy. Both divisions, however, remained integrated as evidenced by the introduction of a Masters program in Rehabilitation Sciences in 1993. An occupational therapy specific graduate program began accepting students in 2004. Finally, on July 1st, 2007, the Department of Occupational Science and Occupational Therapy was officially created within the UBC Faculty of Medicine. Today, the Department of OS&OT is a vibrant place to learn and teach. With over 150 graduate students, a prospering research unit, and an engaged clinical community, the Department is well-positioned to be a leader in advancing the field of occupational science and occupational therapy into the future.